Landlords are now increasingly considering using a Limited Company for holding property. This is mainly because of ongoing changes to the way mortgage interest is treated, particularly for higher rate tax payers. Using a Limited Company allows all those interest costs to still be offset as a business expense. However, every case is different and individual tax advice from your accountant is always essential. 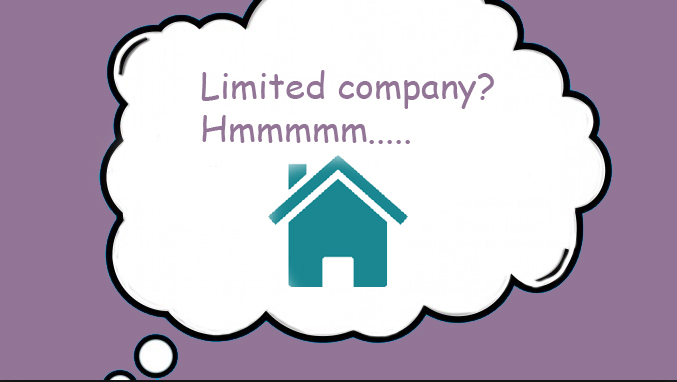 Landlords tend to a few have questions about Limited Company Buy to Lets; here’s our view here at Stirling Partners Finance. Are there less lenders available for Limited Company loans? Yes, but there are still quite a few to choose from. Are the rates worse for Companies? Sometimes, but they are not too far apart from those available to individuals and any tax savings must be factored in to the calculation. Lenders argue that Limited Company deals are harder to underwrite because they assess the individual and the company. Is it more complicated? In the sense that you will need a company, yes. Most people set up a new SPV (Special Purpose Vehicle) which is used exclusively for property transactions and has SIC codes registered at Companies House to prove that it has this restricted purpose to lenders who require that. Can I buy a property in my trading company? The answer is yes, but because it exposes very different business models to outside risk if you combine more than one business in the same company, the number of lenders who will help is fewer. For example, if your trading company suffers, you might be tempted to rely on rental income which then threatens the ability to pay your mortgage. What security will a lender want? Unless it is very low loan to value lenders will want a PG (Personal Guarantee) from the directors. They may also want a debenture (floating charge) over the company to make sure they are in prime position should anything go wrong. This latter requirement is increasingly not required as it causes complexities if the client wants to use a different lender further down the line and is therefore unpopular. Can I borrow as much in a Company? Yes, and you may be able to borrow more in some cases. Do we need accounts? As many landlords set up new companies for transactions the answer is not necessarily, although you will of course be expected to share information about your company if it is already established. The lender will however still want to know about your personal income and assets and liabilities of your existing portfolio. They will want to make sure that you can afford the transaction you are proposing should things get a bit tricky e.g. if you have rental voids. At the end of the day they want an easy life, not clients getting into difficulty. It’s OK if it’s a “bog standard” rented house but what if the transaction involves special situations such as long term contracts with third parties, or refurbishment, development, planning gains or has a commercial element or is an HMO? (House in Multiple Occupation) All these specialist situations and more can be accommodated but the lender base is narrower to match the specialist requirement and the lender will want to understand your experience and study details of the proposal. We will then help you to work out best value, make an application, deal with various loan processing issues and stay involved until you have the funding. We will then help you review matters further down the line as required. All of this is done in close cooperation with your professional advisers. ← Why do developers use brokers?